When it comes to professional hair restoration products, Bosley has the experience and the solutions you need to finally see real results in hair growth. 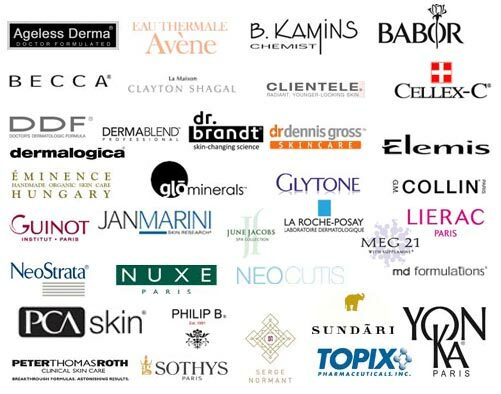 The family of Bosley’s hair restoration products originated with Bosley Medical, a team of world-renowned hair transplant surgeons with over 250,000 procedures performed on both men and women in more than 60 various nations. These patients’ hair loss and progressive baldness were treated with Bosley’s Micrograft® process, offering people thicker hair transplants that so closely resemble their own hair patterns and facial structures as to appear to be perfectly natural. 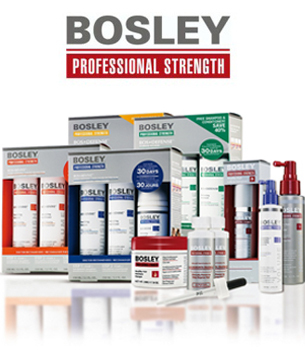 Aside from the Bosley Medical group of physicians who offer the world the most expertise in medical hair restoration, Bosley creates products for use in the home to aid people who are in the beginning stages of hair loss and thinning. For example, Theradome Laser Helmet will treat hair loss using low-level laser therapy. 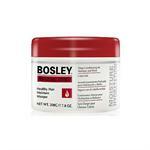 Bosley also provides a 5-step system of professional strength formulas for men and women to reinvigorate the scalp and hair growth using 5% Minoxidil.